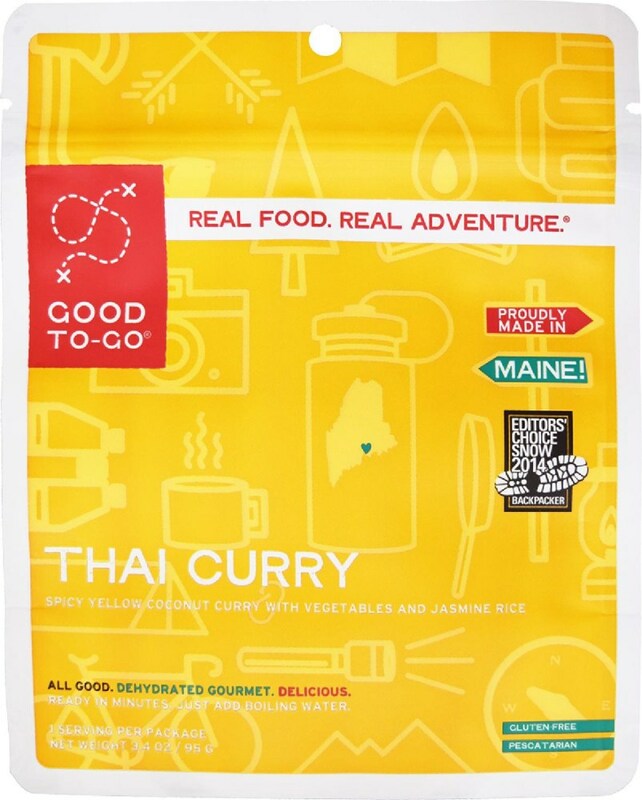 It's good food, heats very well, but despite company claims as the backpacking food that'll change backpacking, each meal is so heavy that they are really only good for activities like canoeing/rafting, day hiking, car camping. I stopped by REI Albuquerque to get some food for an additional setup week at my camp at Burning Man. 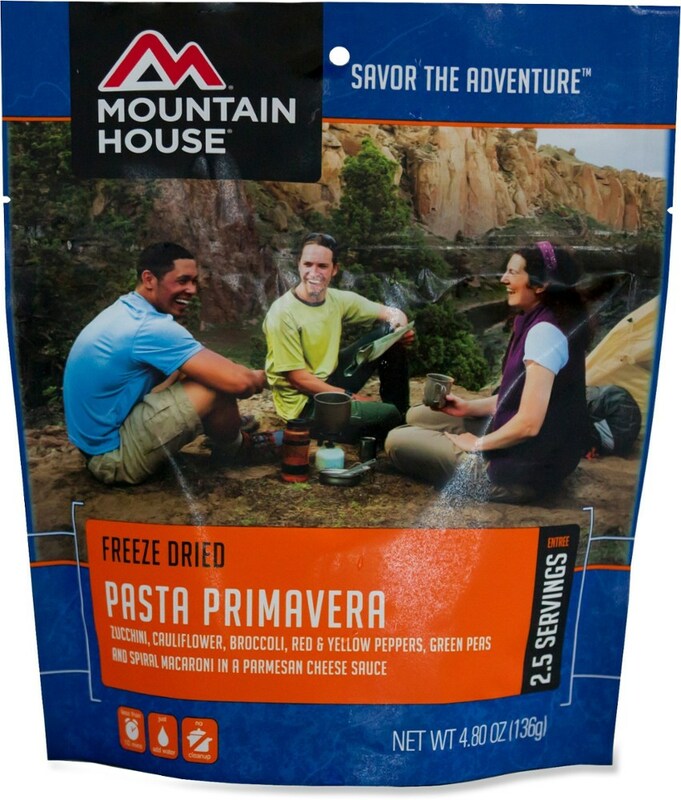 I got items from Mountain House, Backpacker's Pantry, etc and they had something new, self-heating OMeals, so I bought eight meals. They are ready-to-eat, not freeze-dried and I saw they took 4-6 ounces of water to heat and that the water could come from any source. The weight of each is 8 ounces and that seemed kind of heavy, but then again, it was ready-to-eat, not freeze-dried. My first meal for a dinner was "Brown Rice, Quinoa & Lentils." You prepare it by removing the entree and plastic spoon and napkin. Then you put the heater back in, then the entree and add "4-6 ounces" of water, seal and let stand 3-5 minutes. So I added 6 ounces and it certainly went to work. Heater produced steam—bag has steam vents. 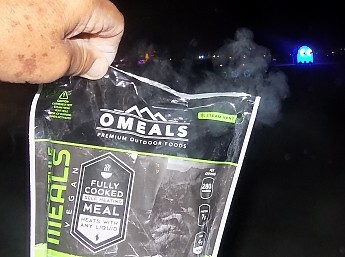 It was still steaming after 10 minutes (I decided to go overtime to insure a hot meal, which usually doesn't happen with the similar MRE heaters/entrees). You need to be careful of the steam and opening the bag, even after 10 minutes. The meal was nice and hot and tasted good, and actually filling. 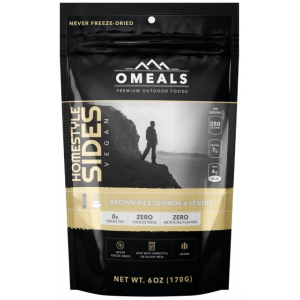 After eating this and some cheese, I felt pretty good the rest of night, so I'd say OMeals are probably good nutrition. 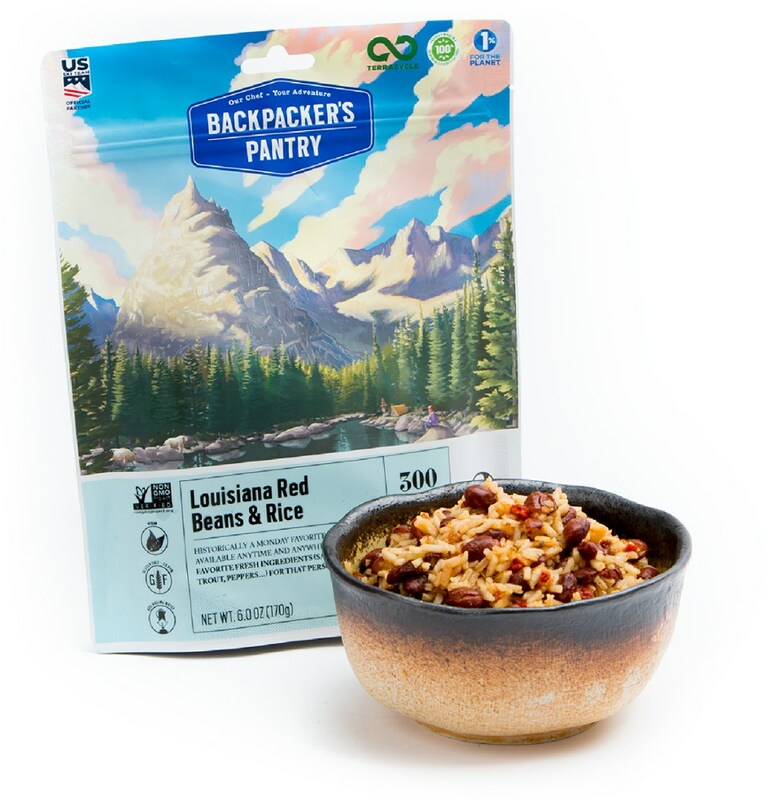 The problem with packages within packages (like MREs) is all the trash that is produced, which is the case with the OMeal—it is not Leave No Trace friendly—I can tell it would not be convenient to pack out if backpacking. Package text says the heater is biodegradable, but what's so significant about that? Do they expect hikers/campers to discard it in the field? There's nothing that tells what the heating substance is and if a heater got accidentally left behind, what stuff is being introduced to the habitat and critters? The heater remains heavy because after you consume the entree, the heater stays heavy from the water it absorbed during heating. I think the used weight was around 6 ounces verses the unopend weight of 8 ounces. Now I only had eight OMeals and being that I was essentially car-camping, weight from these was not an issue. 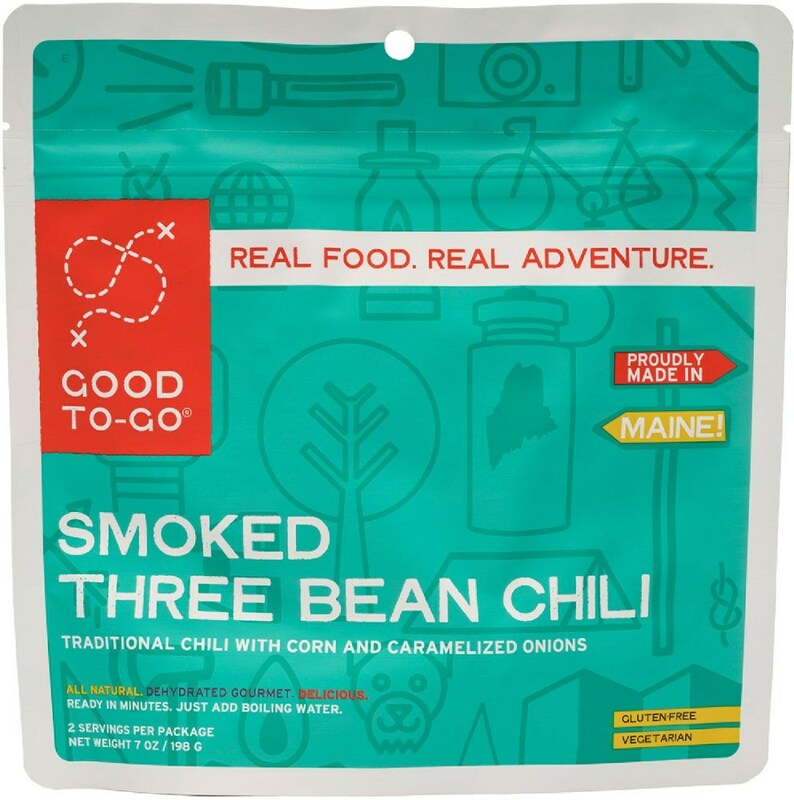 But I can tell there's no way these would be good for an extended backpack, especially in arid lands where the only water is what's carried in. 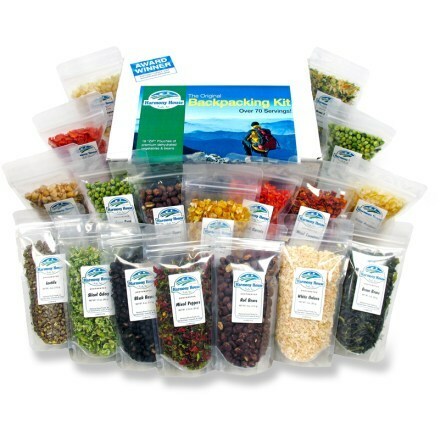 These are good for car camping, day hiking, maybe a weekend backpack, canoeing/rafting and during something like one- or two-day hunts, but for extended backpacking freeze-dried and other lightweight items remain the way to go. Finally, OMeals are probably a little too expensive for what you get, although I guess the expense is justified in ease of heating/preparation. Good point on the biodegradability, just because something breaks down by natural action doesn’t mean everything in it is good to leave in the environment. Thanks for the review of these meals, Mike. I've seen them around, so I'm glad to read your firsthand experience with them. As Phil said, good points about being LNT and never leaving stuff behind. 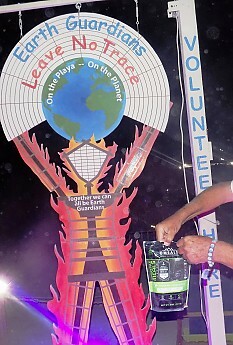 Actually you CAN dispose some of it to the ground. 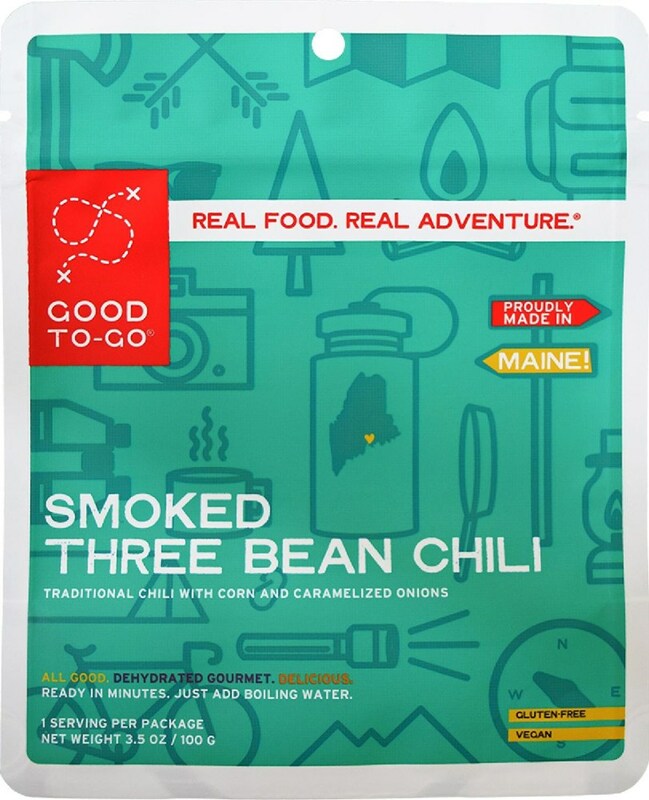 Magnesium and iron are oxidized (faster when adding water) to create the exothermic reaction and heat up the contents of the bag. Magnesium and iron can be safely disposed since they are utilized by plants are fertilizer. Just keep the plastic bag for the recycle bin. Also quinoa and brown rice are expensive but also very nutritious so I guess that the cost is somehow justified. The OMeals Brown Rice, Quinoa & Lentils is not available from the stores we monitor. It was last seen April 24, 2018	at CampSaver.com.